Senior health officials in Bury St Edmunds have backed the town’s Festival of Sport, as a springboard for making healthy lifestyle changes. The Festival which begins later this month will offer dozens of ‘have-a-go’ activities within the town centre, which the Chief Executive of the West Suffolk NHS Foundation Trust Stephen Dunn has welcomed as a great opportunity to make the first steps towards regular exercise. It follows the recent publication of a study from a German University which concluded that just 25 minutes of brisk walking a day can add up to seven years to your life and that moderate exercise can halve the risk of dying of a heart attack for someone in their fifties or sixties. Taster sessions at the Festival will offer opportunities to try anything from an organised group walk to a hula-hoop session or Pilates and from there, hopefully, build regular exercise into their routine. The Festival of Sport will begin on Saturday 12 September, which is when the Tour of Britain cycle race comes through the town at around lunchtime and will run until the following Sunday (20 September). 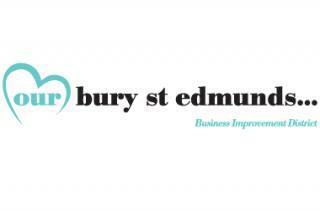 It’s being organised by a partnership including Ourburystedmunds, which manages the Business Improvement District (BID), along with Abbeycroft Leisure, Suffolk Sport and St Edmundsbury Borough and Suffolk County Councils. Ourburystedmunds Chief Executive Mark Cordell added: “The Festival of Sport has something for all ages and abilities from Baby Yoga, which is for 12 weeks upwards to the Suffolk Trail Runners who have participants in their eighties. All the sessions will offer guidance and help for those who’ve never tried it before and there’s no pressure to sign up for anything or pay a membership fee. As well as including the Tour of Britain stage, the Festival of Sport will also take in the opening Rugby World Cup match between England and Fiji at Twickenham on 18 September. More details about all these can be found here. Looking for something to buy? Artico is an independent retailer of British and international silver jewellery. Tesco Express is perfect for all of your daily shopping essentials. The country's largest family cycle chain, the lowest priced bikes are guaranteed. Delicious and delectable collection of traditional and contemporary sweets and candy.